Head downtown for an evening of free live music in W Austin’s Living Room. 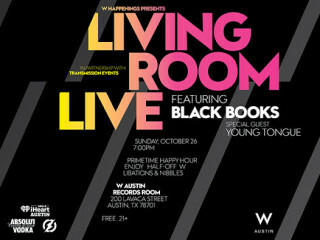 "Living Room Live," the monthly live-music series hosted in conjunction with Transmission Events, continues with performances by The Black Books and Young Tongue. You can also enjoy half-off food and drinks at this free event for 21 and up.